Designed by the fashionable MBM firm (Oriel Bohigas), this is the place to come to terms with Barcelona's near-fatal obsession with design. 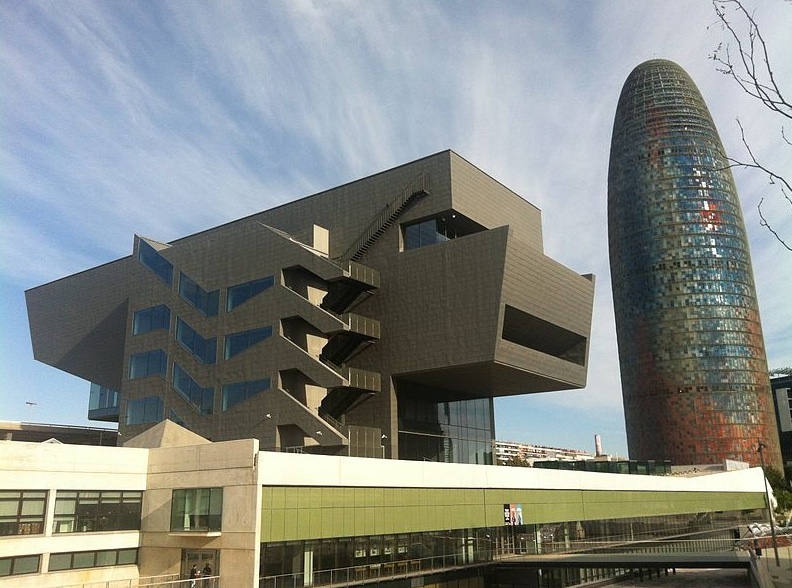 The 'Hub' is an ambitious institution that combines museums with a research and exhibition centre that will explore the meaning of modern design while it helps create new products for Catalan industry. Recent exhibitions have dealt with digital fabrication (3D printing), ecological technology and architecture, product design since the Industrial Revolution and Catalan couture. The new museum is an unusual cantilevered building covered in copper plate. It is meant as the centrepiece for the colossally ambitious redevelopment of the Plaça de les Glòries Catalanes, and Bohigas has given it a properly striking design. Barcelonans are already calling the original version the grapadora (stapler), although to us it could be part camper van, part fox terrier. It definitely has a face, but it's a friendly face, and the building looks to be a good neighbour for the new centre. The permanent collections include Product Design, 20th and 21st-century Fashion, Graphic Design, In also contains the contents of three older museums, formerly in the Palau de Pedralbes: Decorative Arts, devoted mostly to Spanish industrial design, plus furniture, household items, jewellery; Graphic Arts, with items dating back three centuries, and Textile Arts and Historic Clothing (devoted to textiles and fashions from the Middle Ages to the present). There's also a design restaurant/cafeteria at the end.